Everyone's a little tense these days - and it's hard to see why not when everything is about work and no play. This however is going to change for the residents of Sunway and Petaling Jaya areas as The BAR°N officially opens their doors on the Ground floor of Sunway Pyramid! 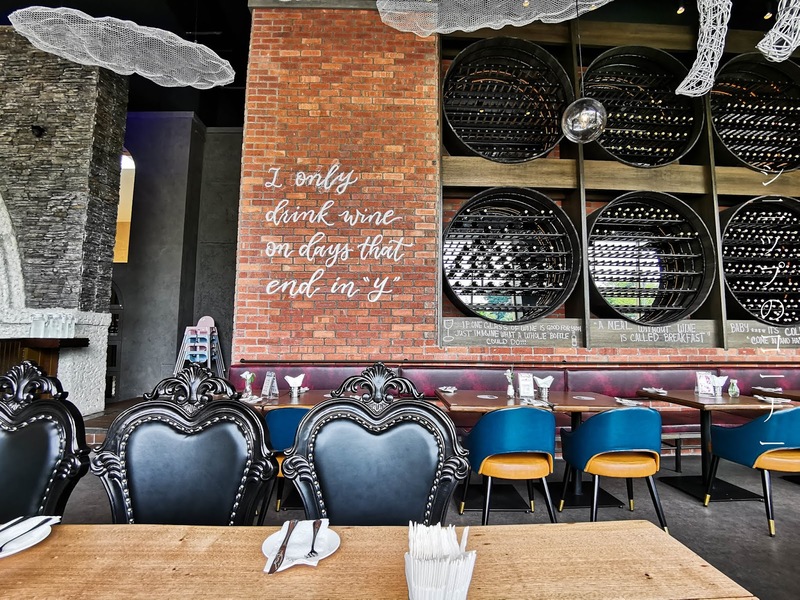 Open daily from 11AM to 12PM, The BAR°N at Sunway Pyramid boasts a unique ambiance where guests can eat, drink, and be merry with signature tapas picks, flame-grilled delectables, hand-mixed cocktails or choose from an extensive selection of wines. "Our hope is that The BAR°N will one day be the natural choice for people when seeking out a place to dine with good food and drinks. It is somewhere for anyone to simply chill, hang out or call their own," says co-founder Candice Lee. This grand opening of The BAR°N at Sunway Pyramid also marks the 5th outlet for the group, with other spots located at Penang, Mont Kiara, Ara Damansara, and Kuala Lumpur. Barny the Camel and co-founder of The BAR°N, Ms Candice Lee. In keeping to its atypical charm and individuality, the grand opening of The BAR°N was celebrated with a special guests hailing form the Pyramids of Egypt. 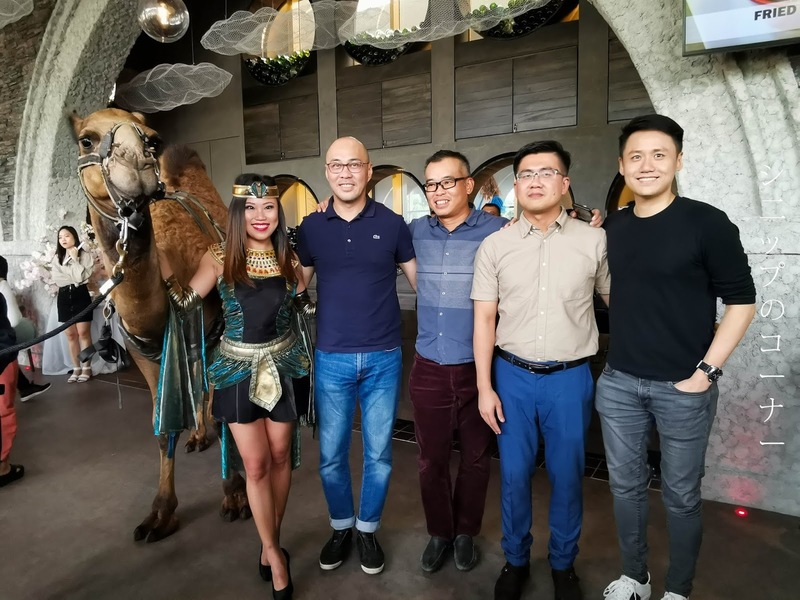 He was no other than Barny the Camel who had made a stop at Sunway Pyramids to celebrate this joyous occasion with members of the media and unsuspecting guests. But of course, what good is a unique opening if they didn't complement The BAR°N with some delicious eats? 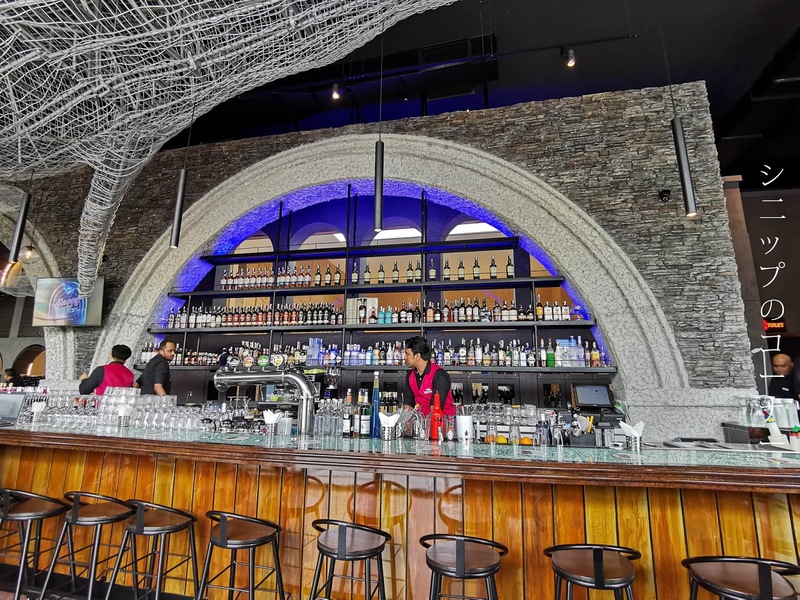 At The BAR°N, meals are prepared freshly upon order and their affordable menu spans across light bites, main meals, and even kids meals for the entire family to enjoy. 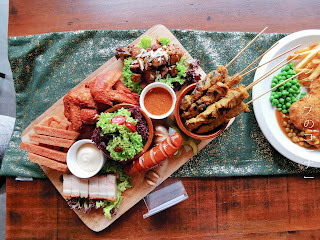 A platter for sharing: Tapas for all. 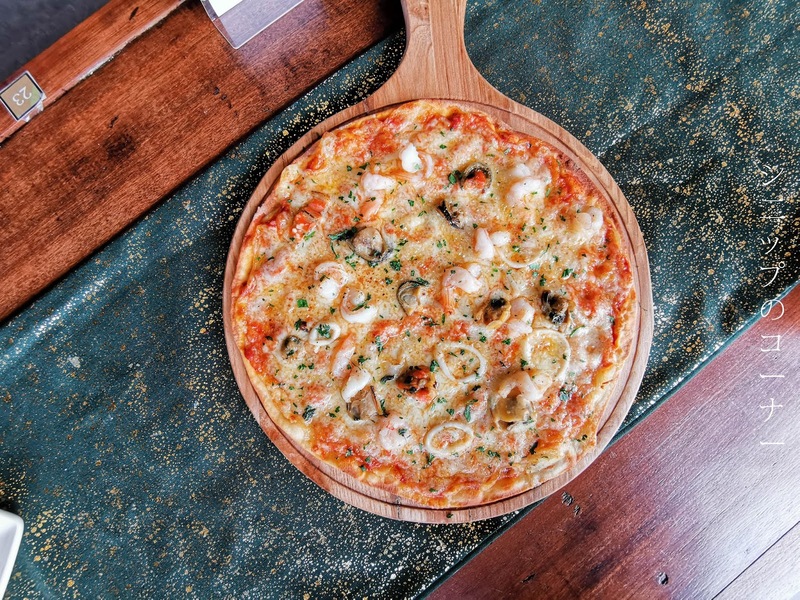 A slice for everyone: Thin crust pizzas full of toppings. 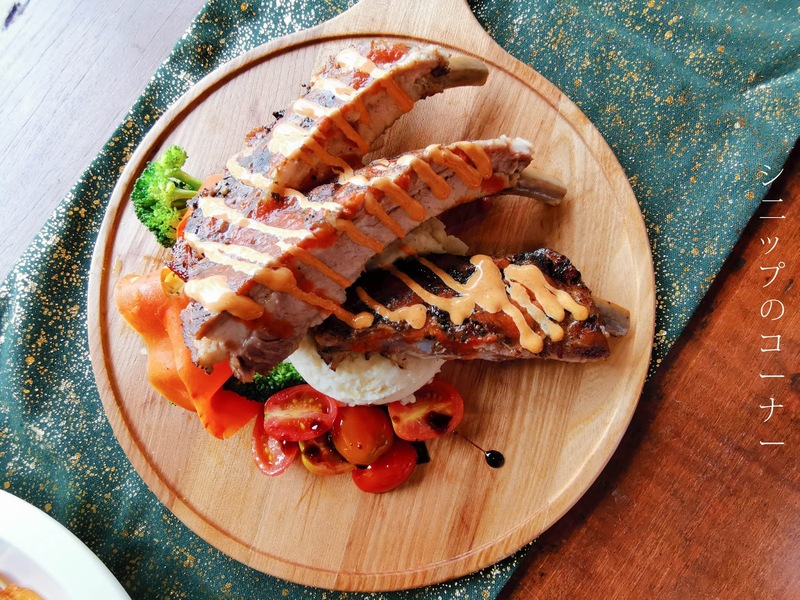 A main for you: Iberico ribs, juicy and firm to bite. A sweet end for me: Creme brulee, torched to perfection. So if you're looking for a place to be this weekend, why not make The BAR°N at Sunway Pyramid your choice? For more details on The BAR°N, do visit their website at www.thebarn.com.my or grab exclusive discounts and deals when you download The BAR°N's app for free on the Google App Store or on iTunes today. Sawadeeka... it's time to visit Thailand this 2019 ka! That's right! 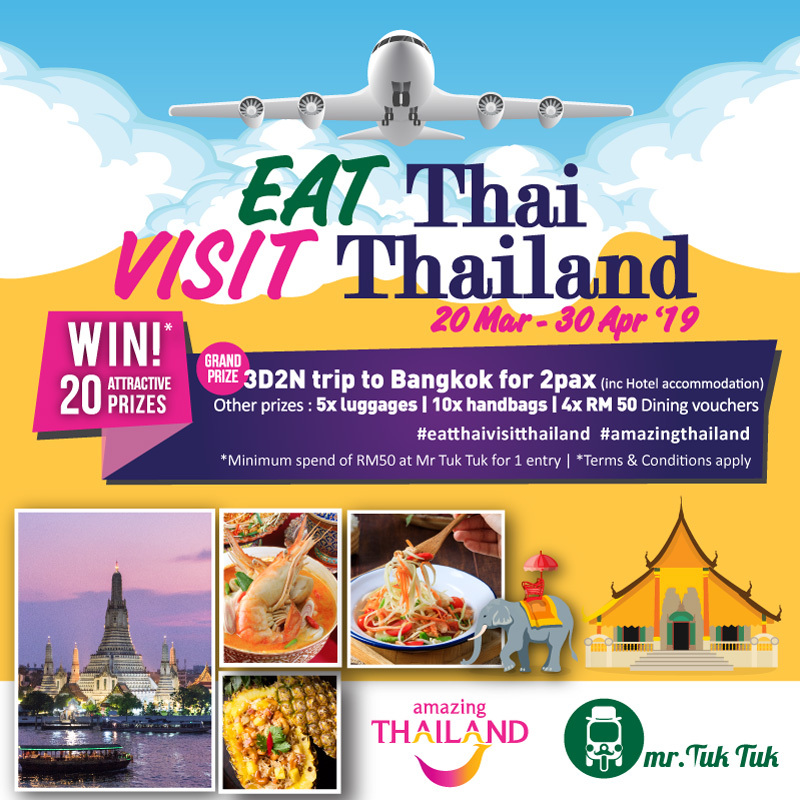 The Tourism Authority of Thailand (TAT) recently unveiled the Eat Thai, Visit Thailand 2019 campaign in collaboration with Mr Tuk Tuk Restaurants in Malaysia - bringing you one step closer in experiencing the Kingdom of Thailand from a newer perspective. 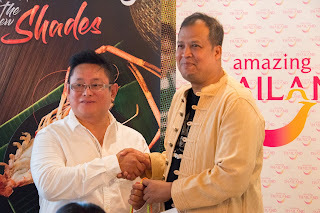 This is in line with the Amazing Thailand's "Open to the New Shades" campaign that focuses on introducing the gastronomy, arts and crafts, Thai cultures, nature, and the Thai way of life to the world. Mr Ken Leong, owner of Mr Tuk Tuk Restaurants and Mr Ahman Mad-Adam, Director of TAT, Kuala Lumpur brings you this amazing campaign all month long. "Thai food is more than a cuisine; it's a lifelong passion. 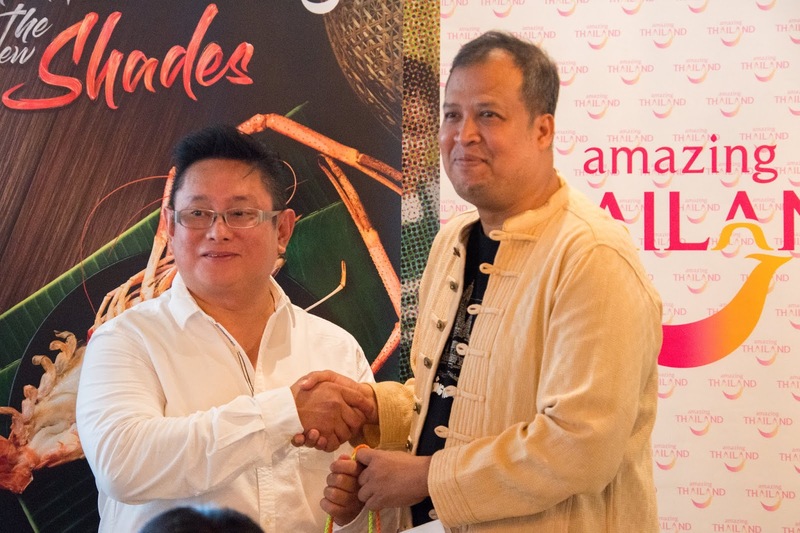 It's a love affair with deep roots in the country's culture and most importantly, in the family," said Mr Ahman Mad-Adam, Director of TAT, Kuala Lumpur. In fact, a whooping 4 million Malaysian visitors were recorded to have visited Thailand in 2018 - making it an undeniable fact that the food and culture of the Land of Smiles is a great appeal to the nation. 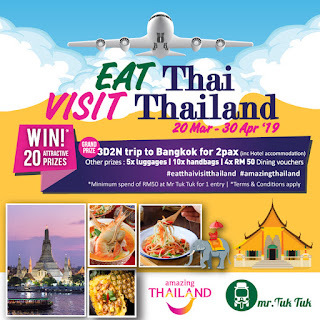 With this in mind, it's no wonder that TAT has decided to pair up with 8 of Mr Tuk Tuk Restaurants in Malaysia to reward you with a chance to win a 3 Days 2 Night trip to Bangkok, inclusive of accommodations. Other exciting gifts include luggage bags, handbags, and Mr Tuk Tuk meal vouchers. All you have to do is just spend more than RM 50 in any of the 8 Mr Tuk Tuk outlets around Klang Valley, and you could be in the running to bring one of these prizes home. Be sure to try all of Mr Tuk Tuk's new dishes! So wait no more! 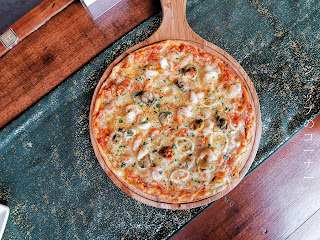 Head on over to any of the Mr Tuk Tuk Restaurants nearest to you and be sure to try all of their new dishes that were especially created to celebrate the Eat Thai, Visit Thailand 2019 campaign! 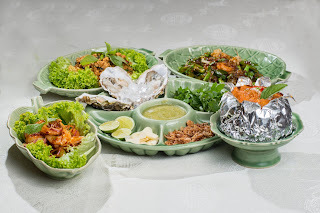 This includes my personal favourite of the Fried Tofu with Basil Leaves, Seafood Otak-Otak, Thai Prawn Salad with Lemongrass, Thai Fresh Oysters with Lime Sauce, and a Thai Pumpkin Custard to end your meal. Don't forget to also ask for their new drink addition - the Thai Iced Lemongrass Tea with Crispy Waterchestnut Pearls! Springtime is now at full bloom in Starbucks Malaysia as they're introducing 2 brand new additions to their line up of drinks. Inspired by the ever beautiful Sakura aka cherry blossoms of Japan, the Azuki Blossom Crème Frappuccino® and Matcha Azuki Blossom Crème Frappuccino® will officially be made available in stores nationwide by the 26th of March. 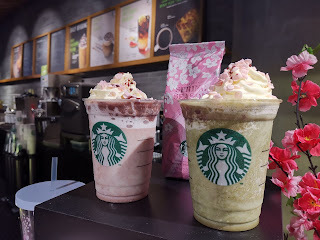 On the left is the Azuki Blossom Crème Frappuccino® - a combination of creamy milk blended with ice and red bean to create an earthy but sweet treat. 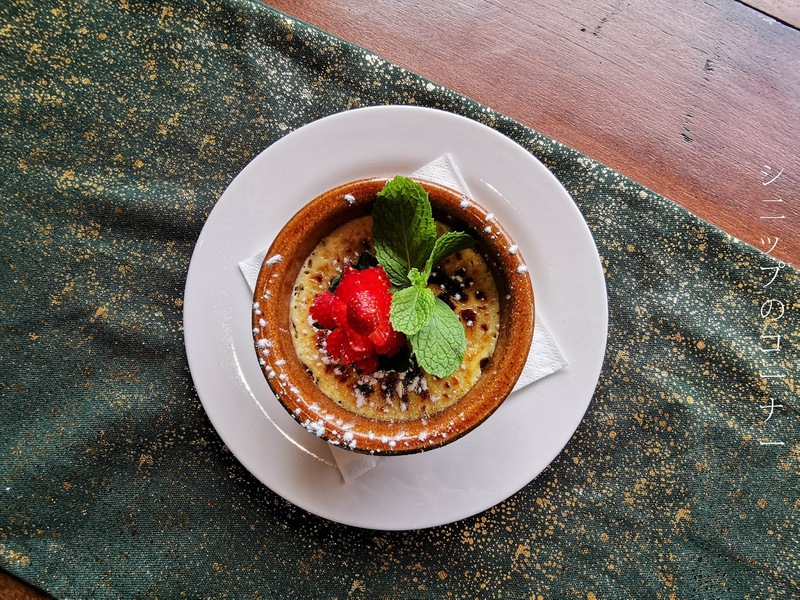 It is then topped with Azuki aka red bean and fluffy whipped cream, finish with petals of white and pink rice blossom petals with tart cranberry bites. On the right features the Matcha Azuki Blossom Crème Frappuccino® - a twist for fans who are all for Matcha. It combines the taste of the Matcha Frappuccino® we all know and love from Starbucks Malaysia together with earthy tastes of savoury red beans, before being topped with a generous amounts of whipped cream, red beans, and pink and white rice blossom petals to finish. As I was there for their media preview special, I was honored to have been able to try both drinks several days earlier and my personal favourite had to be the Matcha Azuki Blossom Crème Frappuccino®. For starters, matcha and red bean is a sure win combination and when you bite into the crispy rice puffs through each sip - it's just something you can't deny is amazing. And if having Sakura inspired drinks aren't enough for you, Starbucks Malaysia has also planted Artificial Reality (AR) Sakura Trees in all of its stores so you can sip on your favourite springtime beverages while enjoying the "bloom" of the Japanese cherry blossom. To experience this, users simply need to scan the Cherry Blossom stickers around any of their nearby Starbucks Malaysia stores and the AR experience will be right at your fingertips. It leverages on the Facebook AR technology, and you can then snap pictures to share with your friends - it's almost like you're in Japan without going through a 7-hour flight. It was truly an eventful afternoon at the media preview as we were also offered first hand information that coconut milk will soon be available at Starbucks Malaysia stores - on top of the usual offerings of regular milk, soymilk, and almond milk. This however is a gradual roll out for their stores and should be available nationwide by the first week of April. I personally enjoyed the nutty hints of the almond milk in their classical Caramel Macchiato and would definitely be asking for this option from hereon out whenever I visit Starbucks Malaysia. To this little space I've forgotten about, I'm sorry. To the resolution I made on the first day of the day, I'm sorry. To the people who still had little hopes for me, I'm sorry. I'm sorry it's been 8 weeks since I've been on this space. I'm sorry I never wrote in it as much as I wanted to. I'm sorry that the promise made was simply broken. But here's to what has been happening in the past 2 months. 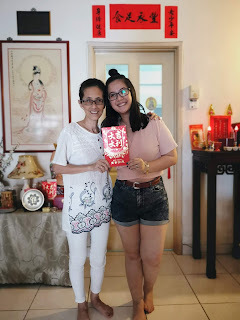 So Chinese New Year came and went, but the requests for red packets from my friends never did. 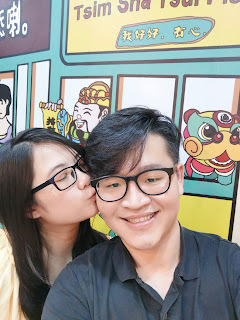 People still asked, and I'm still not giving just because I haven't had my Chinese wedding ceremony. By the Chinese law, I'm unmarried. 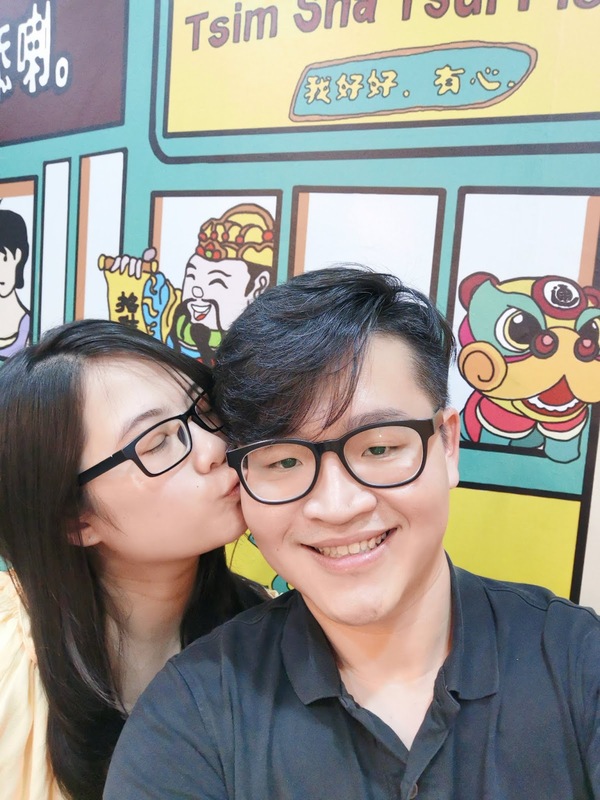 But this year, we had it special because my other half came along for some house visits and my family went over to his place. Perhaps it marked a beginning to our yearly traditions. Or maybe it was a sign for all things new. 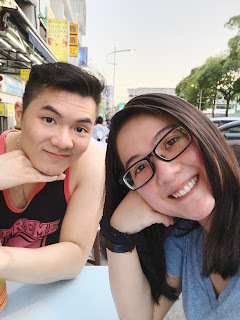 The past 2 years seem to have brought lots of new experiences for him - having spent his first birthday in Malaysia last year, after 7 long years of studying abroad. 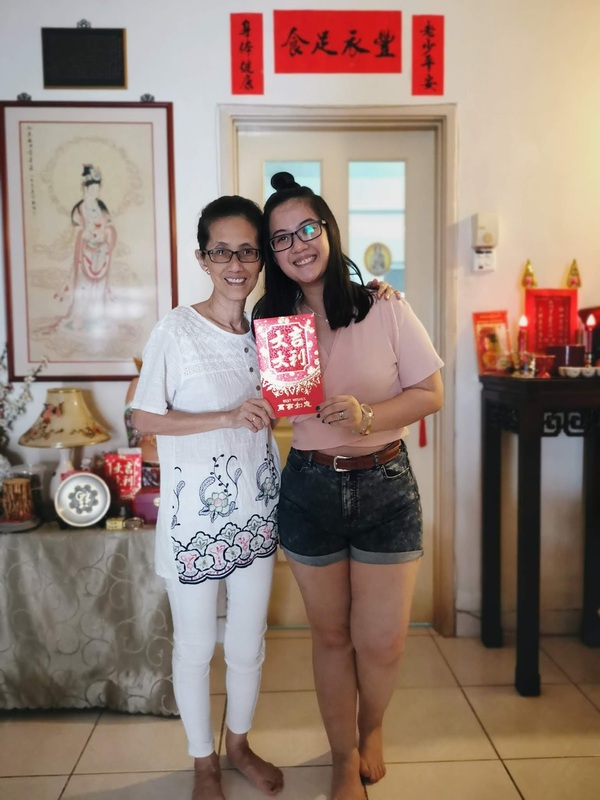 This Chinese New Year, he also made it home to celebrate just a little. We had long talks as usual. We took long walks as usual. And we had way too much to laugh about. As usual. And if you're wondering, he's a doctor who's ridiculously tall and resides over 6,000 kilometers from home. And he's single. Yes, I'm definitely selling my best friend on the blog. I know it's only been half of March as I'm writing this, but the decisions made for adventures to come in the past 2 weeks is enough to seal the deal for the month. It's going to be a long journey ahead for the both of us - and before more guesses are being done, I'm not pregnant. I'm fat, but I'm definitely not growing a human inside me. Yet. Along with the new jeans came a new job that was pretty old. Basically I had left my old agency for the old old agency I was with - making the old old agency a new agency right now. Have I lost you yet? Perhaps that was what I was aiming for right from the beginning. But hey, I got new jeans that are ripped intentionally because the old ones ripped unintentionally. How does that work? 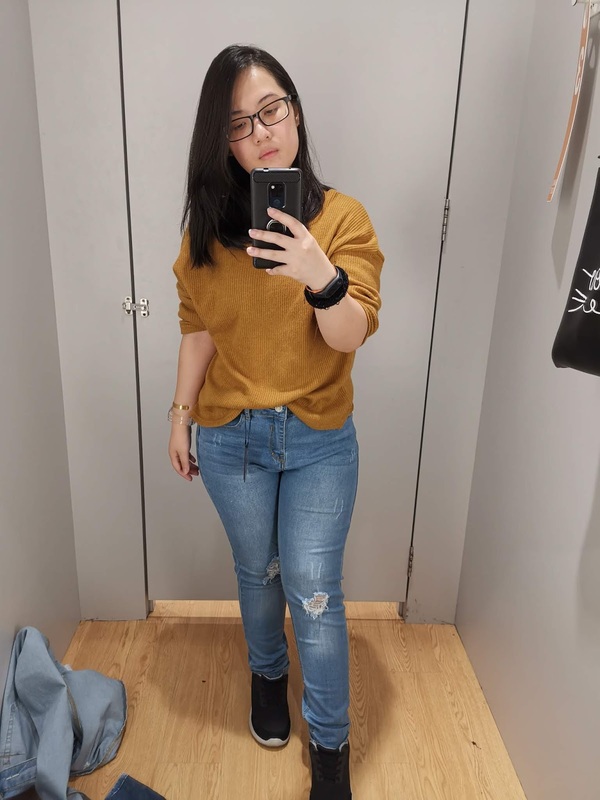 Don't ask me, I kind of just needed a good enough reason to buy new jeans for March.